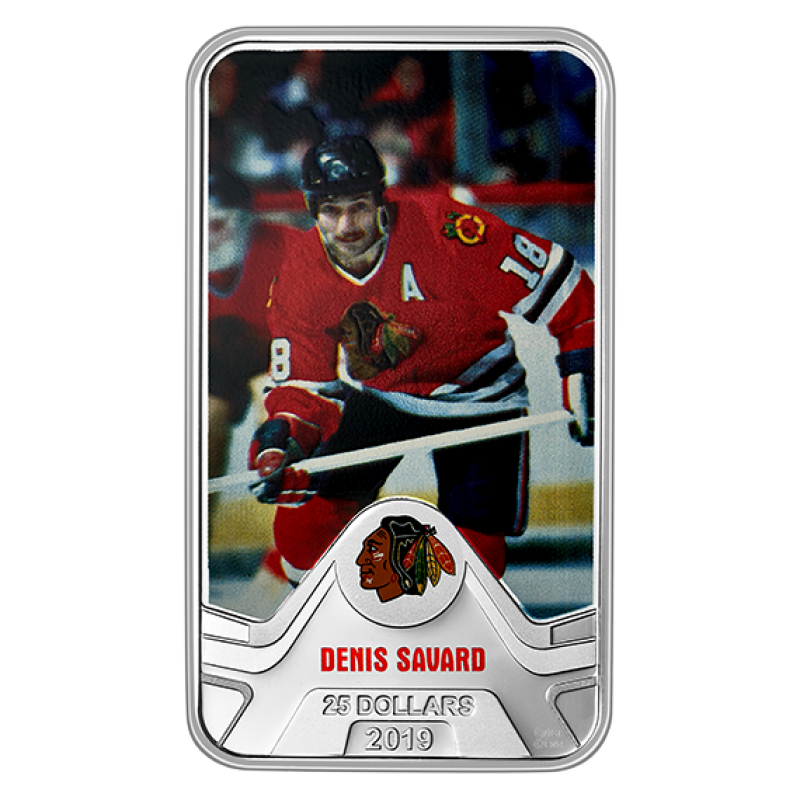 During his 13 seasons with the Chicago Blackhawks (1980-90, 1994-97), Denis Savard electrified fans with his speed, agility and offensive flair, including a famous “Spin-o-rama” move. This instinctive playmaker helped revive the franchise in the 1980s, stickhandling through entire teams on his way to becoming one of the most prolific centres in Blackhawks history. After setting a team record for most points scored by a rookie, Savard crossed the 100-point threshold five times as a Blackhawk, including a career-high 131 points in the 1987-88 season. He was named co-captain the following season, when the team reached the Campbell Conference Final. And while his name is etched on the Stanley Cup® as a member of another Original Six team, Savard finished his NHL playing career in the city where it all began, in Chicago, where Number 18 proudly hangs from the rafters. Inducted in the Hockey Hall of Fame in 2000, Denis Savard is one of six NHL stars featured in this rectangular tribute to some of the legendary Canadian captains of an Original Six team. Established in 1926, the Chicago Blackhawks (or “Black Hawks” until 1986) won their first of six Stanley Cup championships in 1934. A third Cup in 1961 marked an Original Six-era resurgence, which culminated in a first-place finish in the last season before the NHL’s expansion in 1967. The Blackhawks then embarked on the second-longest playoff streak in NHL history, with 28 consecutive post-seasons appearances between 1969 and 1997—including five Conference Final during Denis Savard’s time as a Blackhawk. Add a 99.99% pure silver Chicago Blackhawks® Denis Savard coin to your hockey collection! Order today! 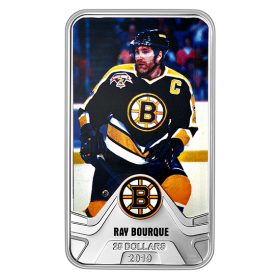 INCLUDES NHL® TEAM LOGOS! 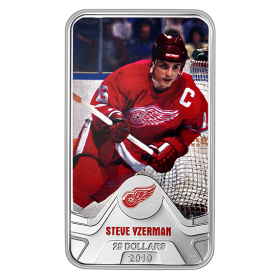 Your coin features the hockey player’s team logo! CANADIAN-BORN MEMBER OF THE HOCKEY HALL OF FAME! All six players in this collection are Canadian-born members of the Hockey Hall of Fame. OFFICIAL LICENSED PRODUCT! 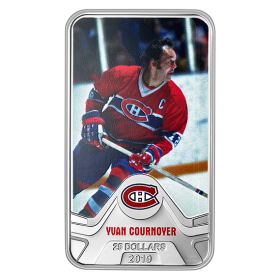 Your coin is an official licensed product of both the NHL® and the Hockey Hall of Fame! LIMITED MINTAGE! Only 5,000 of will be made available worldwide. INCLUDES SERIALIZED CERTIFICATE! Your coin includes a serialized certificate. 1.5 OUNCE 99.99% PURE SILVER COIN! Your coin is GST/HST exempt! One of the franchise’s all-time scoring leaders, Denis Savard electrified Chicago Blackhawks fans with his speed, offensive flair and a “spin-o-rama” move. 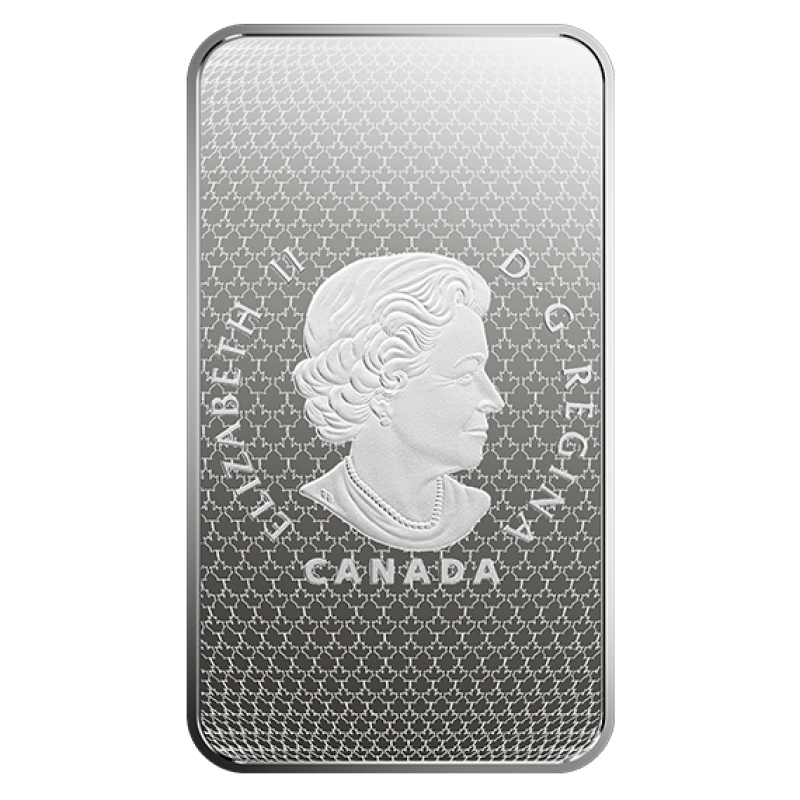 Your coin is encapsulated and presented in Royal Canadian Mint-branded black clamshell with graphic beauty box.